We are pleased to announce the arrival of our DAUGHTER! 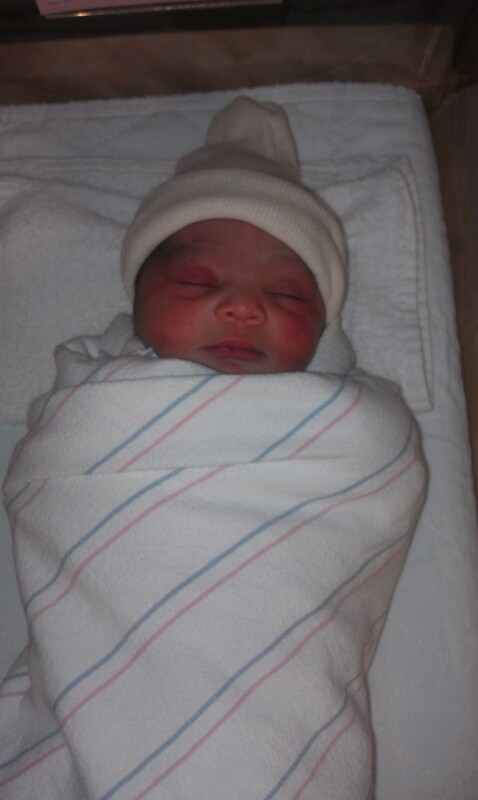 Miss Eila Taveri Brown was born on October 4th, 2011 at 4:36am. She measured in at 7lbs 3oz and 19 inches long. Her labor and delivery lasted around 8 hours, from the first contraction to her entrance into this world. It was fast and furious and amazing and surreal. Forget cloud nine, we’re on cloud ninety!